the gattare, the dedicated and avid Roman cat caretakers and advocates. The underground shelter has abutted the ruins for twenty years and consists of several bright and airy rooms complete with cages, toys, and medical equipment. The shelter Entrance to Largo di Torre Argentina Cat Shelter (Photo by Wknight94/Creative Commons via Wikimedia)made the mistake of applying for a permit to add a toilet to the site. This brought forth the issue with archaeology officials. The shelter draws in tourists from around the world who come to see the cats and make donations that support the shelter. The visitors will throw food to the cats as they roam the ruins, just one of the issues that is driving the ire of the archaeologists. Over the past two years the two groups have tried to reach a suitable solution that would serve both sides without success. Moving the shelter would not stem the tide of cats hanging out in the ruins. Cats are creatures of habit and will return to the ruins on their own. 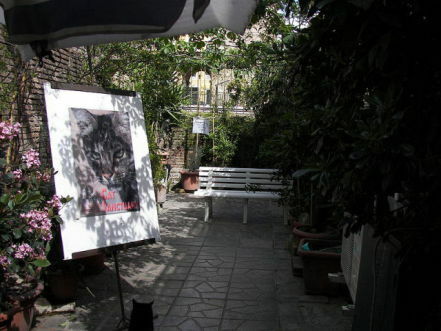 Humans are also creatures of habit and the tourists will continue Inside the Cat Shelter at Largo di Torre Argentina (Ohoto by Wknight94/Creative Commons via Wikimedia) to show up and throw food to the resident felines. di Torre Argentina does not have, and never has had, legal permission to operate in the location. 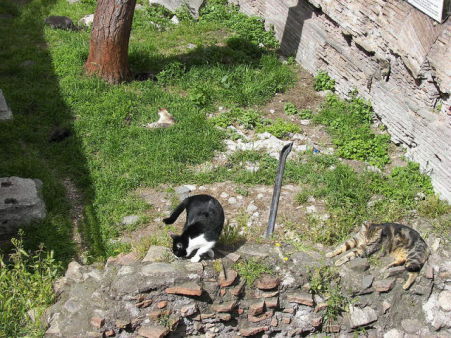 Cats Among the Ruins of Largo di Torre Argentina (Photo by Wknight94/Creative Commons via Wikimedia)Over the decades various municipal administrations have tacitly approved the shelter by allowing it to expand and modernize. Rome's current mayor, Gianni Alemanno, who is up for election next year, has thrown his support behind the cats. While cats aren't allowed to vote, cat people are and will undoubtedly vote cat. A concrete solution is still far away as history and tradition try to seek common ground. 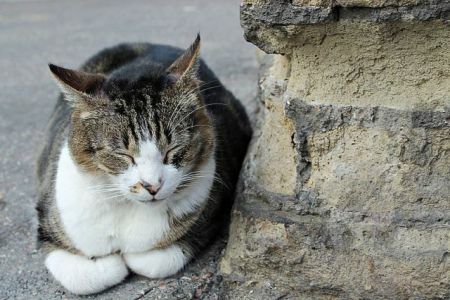 With the lives of so many cats hanging in the balance, it is bound to remain a contentious battle. The shelter adopts out approximately 30% of the cats. New arrivals are quarantined while they receive medical attention and are spayed or neutered. 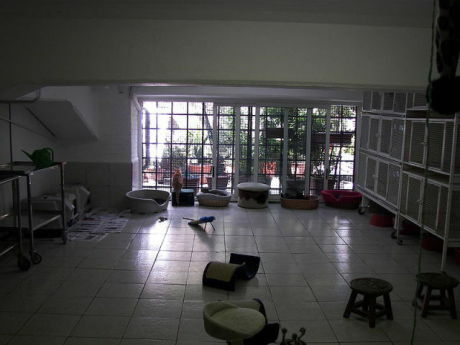 The shelter has spayed or neutered at least 29,000 cats. They receive no funding from the city of Rome or any other government agencies or departments. All funding comes from donations.